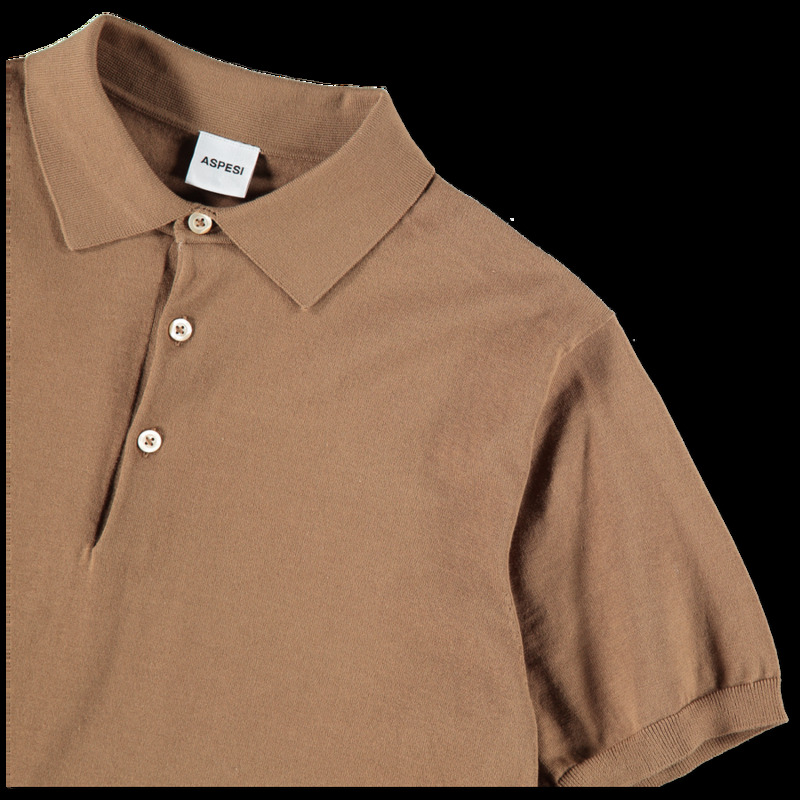 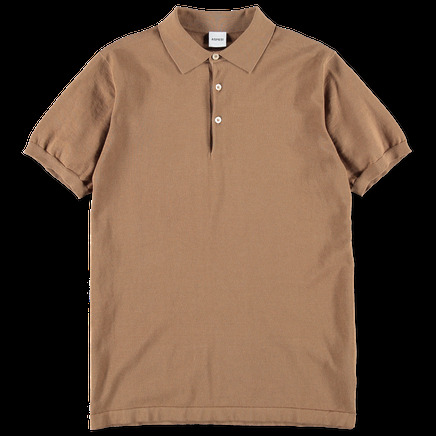 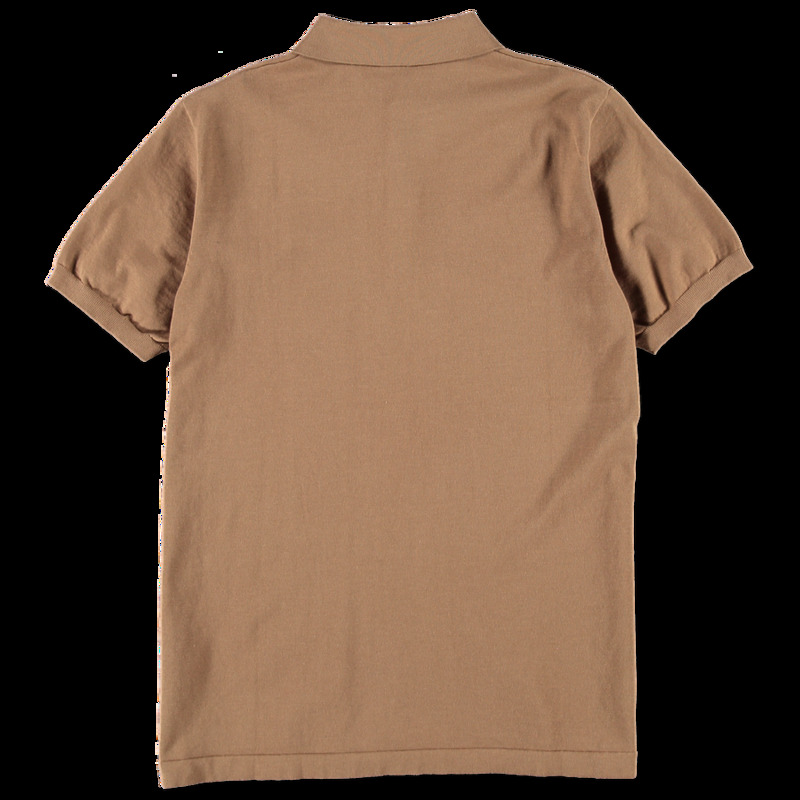 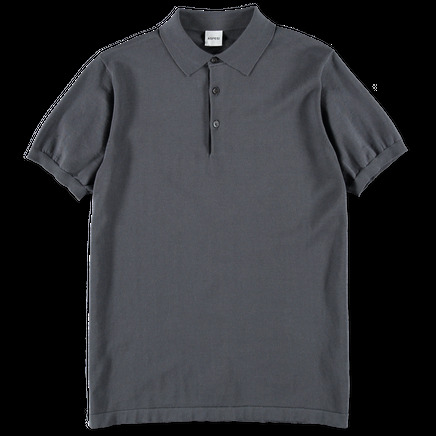 Shortsleeve polo in a soft knitted cotton. Three button placket with ribbed collar and cuff. Small hem side slits.